We have the usual assortment of dead people and kind-of-dead-but-not-really people. Enjoy. 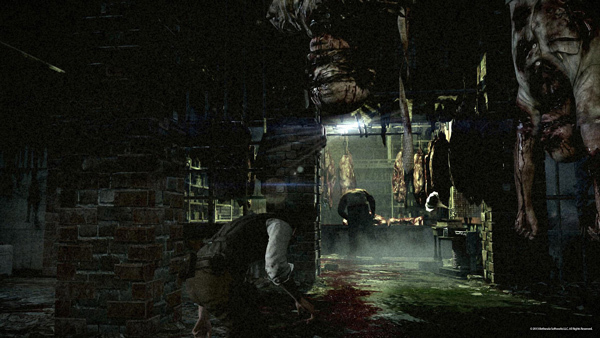 Resident Evil creator, Shinji Mikami, has made a lot of big claims about his upcoming title. 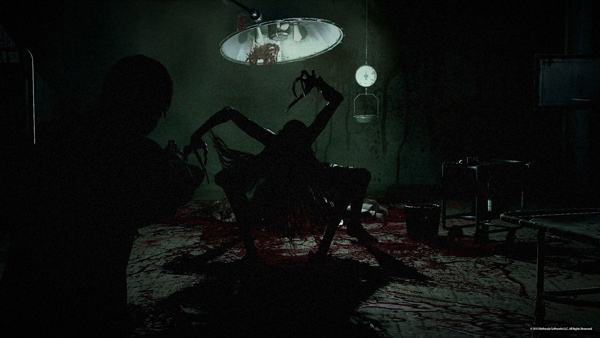 If the hype to be believed, The Evil Within, will be the legendary dev's grand return to his survival horror roots. 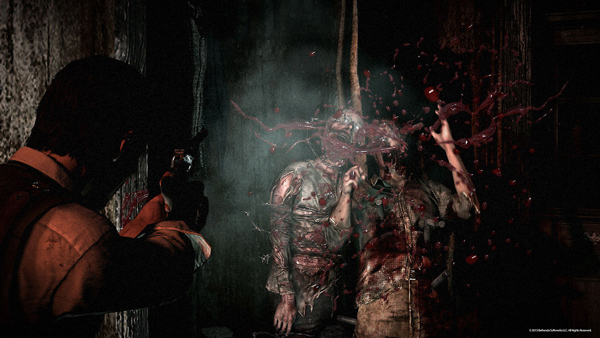 Considering Mikami hasn't made a survival horror game since 2005 (or 2002 depending on your feelings on Resident Evil 4 - I thought it was to survival horror games as Airplane! was to disaster films) and the genre has sadly fallen into disrepair in his absence, fan expectations and doubts are running high. 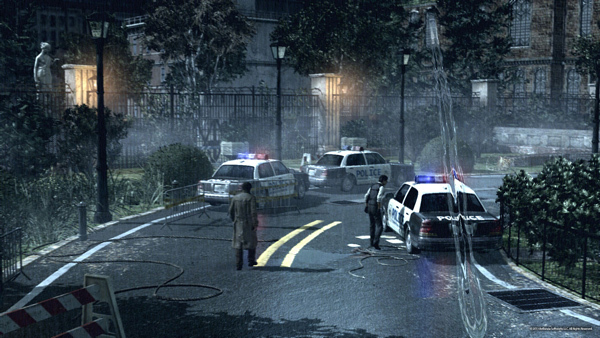 The live-action debut trailer, hokey as it may be, invoked fond memories of Resident Evil's infamously goofy intro, but the following screenshots paint a darker, more disturbing image of the game. 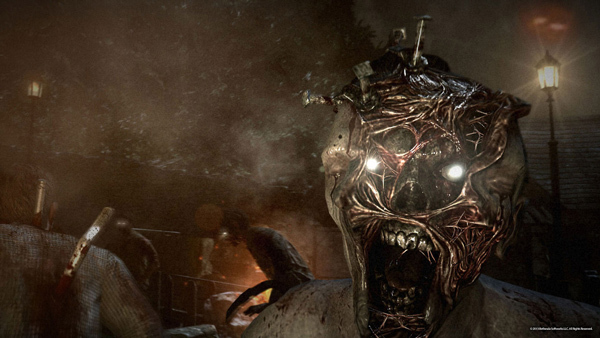 So, we've got the obligatory "mutated dude with a torch," apparently keen to reprise his role from Resident Evil 4, and a nice close up of some kind of zombie/skeleton kind of thing,but it's the shadowy, multi-limbed creature in the operating room that caught my eye. 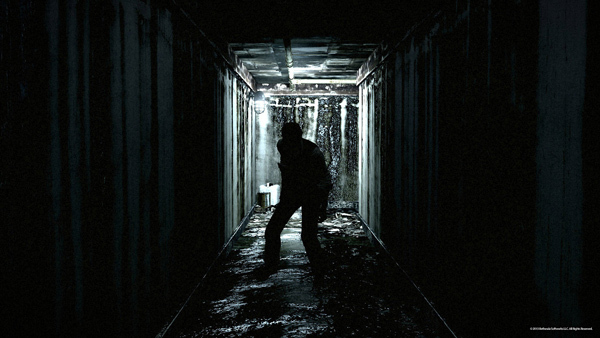 I don't know what that thing is - thanks to a clever use of shadow that I hope makes it into the final game - but the Silent Hill-style uncanny exaggeration of a recognizable human form works brilliantly. Provided it isn't bright pink or announced with grating strings every time it appears in game, that thing should be scary. 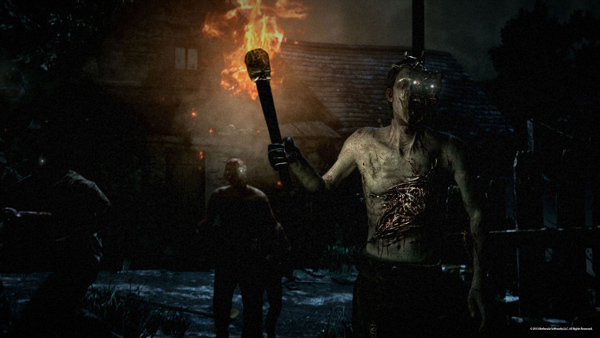 The Evil Within is set to hit PC, PS3, Xbox 360 and next-gen consoles next year.